With all due respect to Hormel, the makers of spiced-ham-in-a-can, most people hate "spam" (annoying, often harmful, unsolicited emails) far more than they do its namesake; the tinned Spam of Monty Python fame. No one needs to be told about the waste of time that junk email represents, and how difficult it is to be rid of entirely. We have all received sketchy offers from Nigerian princes with banking issues in our email inboxes, after all. 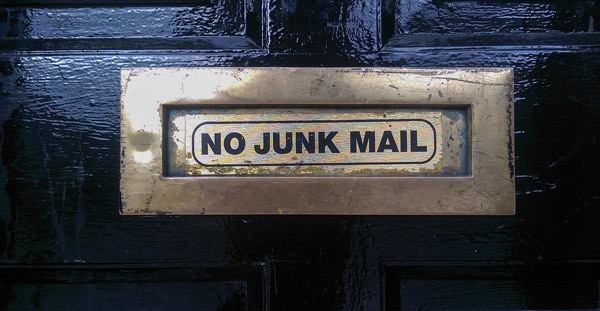 After a period of relative quiet on the junk email front, it became apparent that whatever evil which creates the spam scourge has becoming overactive once more. (Their government grant came through, maybe?) The uptick in spammy correspondence has become too obvious to ignore. Something had to be done, but what? Though many may not recall the name, most folks will recognize the super-lame "prove you're a human" tests we've encountered when surfing the Internet. A large number of us, this writer included, may even have failed this critical test a time or two, despite our apparent human-ness. This mini humanity questionnaire was originally called "CAPTCHA", and it stood for "Completely Automated Public Turing test to tell Computers and Humans Apart." (Apparently cool acronym development was not their strong suit.) Unfortunately, the first edition of CAPTCHA was flawed, as the tests to discern "bot or not" were often too difficult for actual humans to figure out, particularly folks coping with vision loss. Google recognized the advantages of the CAPTCHA system and felt they could improve on it so they bought the company that invented it in 2009. Google set their brainy bunch to improving the program which was re-introduced as reCAPTCHA in 2014. Better yet, Google is now in the process of introducing "noCAPTCHA reCAPTCHA" to eliminate the "skill testing questions"; replacing them with just a simple click. The reCAPTCHA project underway at Industrial NetMedia is ambitious and will safeguard our clients' sites better than the previous software was able to and with less aggravation for your site visitors. We do ask, however, that you patiently bear with us as we undertake the necessary steps to including noCAPTCHA on the hundreds of websites in our client portfolio. The wait will definitely be worth it!